Whether you are a traditional Catholic or a progressive modernist Catholic, you should at least care that particles of Jesus from the Holy Communion are falling on the ground and being stomped on all the time in Catholic Churches through out the world. Here is the scientific proof. You can see the white particle on the upper right hand side of the paten. 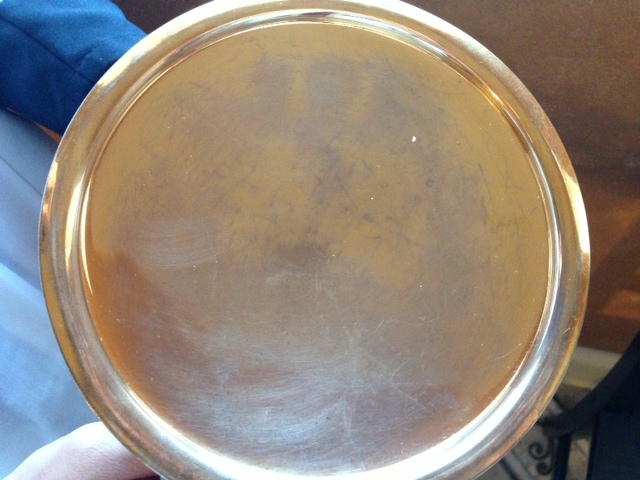 I left this particle on the paten after giving Holy Communion this morning at Holy Latin Mass to take a picture of it. I did this so to show the world scientific proof that large particles, like this one, are falling on the ground and being walked on in most Catholic churches that do not have patens to catch these particles. I left the paten in a protected area on the altar until after Holy Mass so that I could take the picture of it. I them consumed the particle and purified the paten. 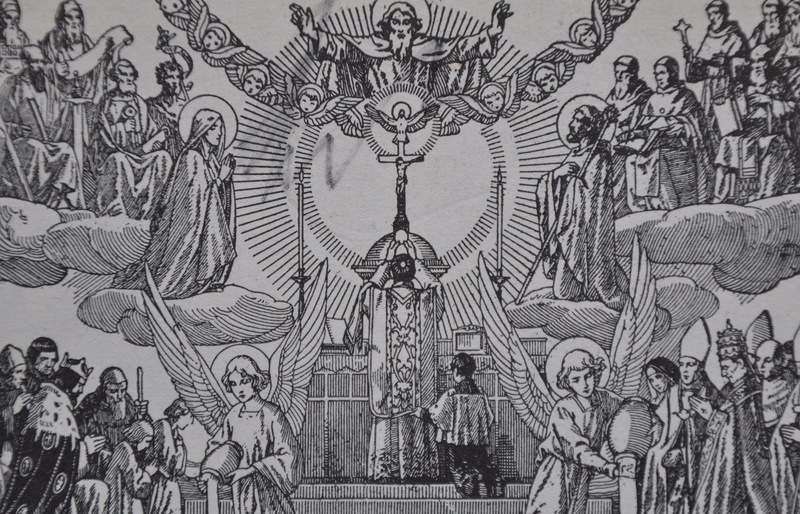 It is quite often that I see these particles and carefully brush them off the paten into the chalice after the altar boys pass the paten to me at the end of Holy Communion. All over the world where I travel, the only place I still see patens being used is in Mexico. Here in the United States the use of a paten is very rare and considered “extreme traditionalism”. Jesus is dropped on the floor, walked on, to make sure we are not “traditionalist”. The exact same thing happens when the Holy Communion is given in the hand. Wear black cotton gloves the next time you receive Jesus on the hand. You will see tiny specks and large specks depending on what comes when the host is given. 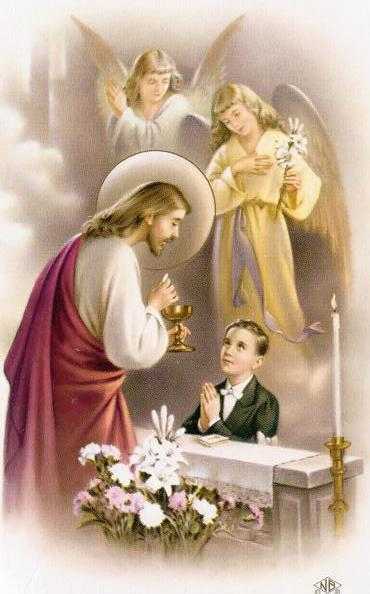 Again, permission to receive Holy Communion in the hand is an Indult (out of the ordinary permission to do and can be revoked at any time). It was given to some countries where, in disobedience, some priest began copying protestants. The protestants purposely receive the bread in the hand to show that it is not God/Jesus in the bread they eat at their services. Let us all pray for an end of the walking of God on the floor of Catholic Churches. And we can start by receiving Jesus humbly on the tongue kneeling down. Copy this picture and give it to your parish priest. Ask him if he has seen large particles fall too. Forgive us Jesus for not loving you and protecting you from sacrilegious tramplings underfoot. Next PostNext “Act Up” And “Destroy My Church” Survey by American Catholic Council.